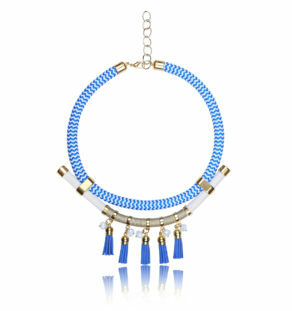 Brighten up summer neutrals and winter classics with our gorgeous Maya Disc Boho Necklace in Sunny Sky. 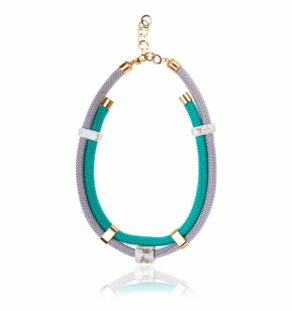 Just as lively and beautiful as its name suggests, this statement necklace features pale blue and dusky pink crystal beads hand threaded onto pure silk for a soft and sensual aesthetic. 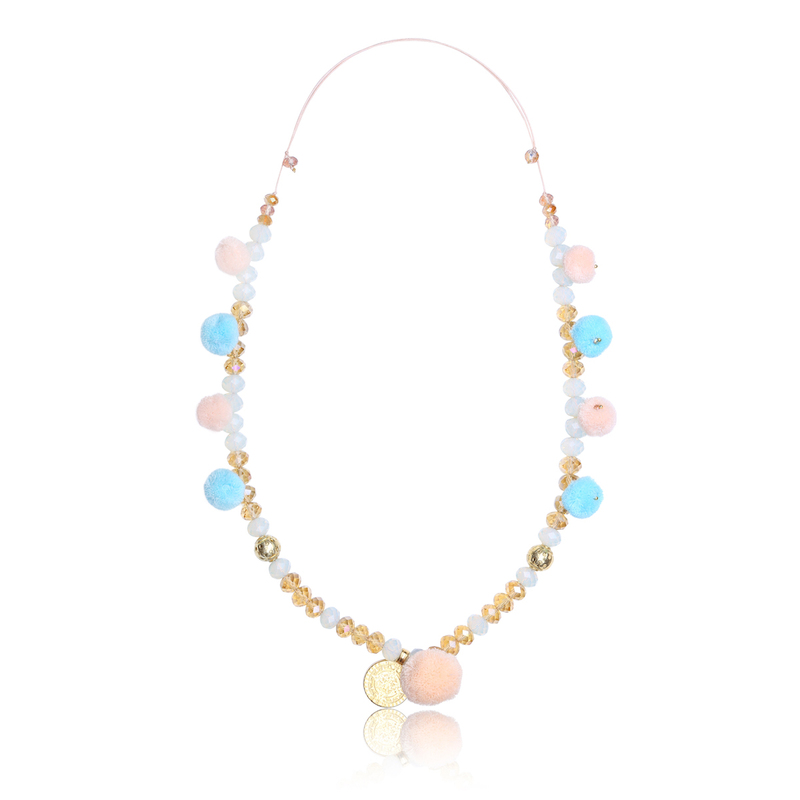 Leading the way in effortless chic, the Boho Necklace also features light peach and baby blue pom poms for a fun and colourful flair. 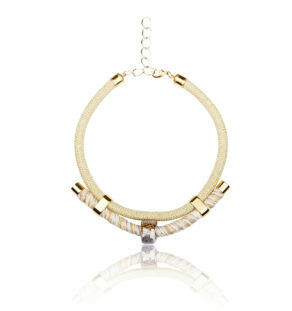 Gold plated beads and a striking gold plated Maya disc pendant bring a glamorous edge. 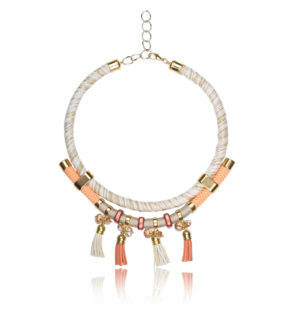 Handmade with love in the IRIS London studio, the Maya Disc Boho Necklace in Sunny Sky is a real showstopper. Team with other necklaces from the Boho Chic collection or a selection of the Iris Boho bracelets for a look that will turn heads for all the right reasons.